Our first-ever military-grade protective folio is here. Introducing DuraFolio for iPad Air and iPad mini and iPad mini with Retina display. DuraFolio is the result of a 2-year design process at Speck where we set out to build the best iPad case available, sparing no detail. The result is a sophisticated, slim, and versatile folio that is also our most protective tablet case to date. 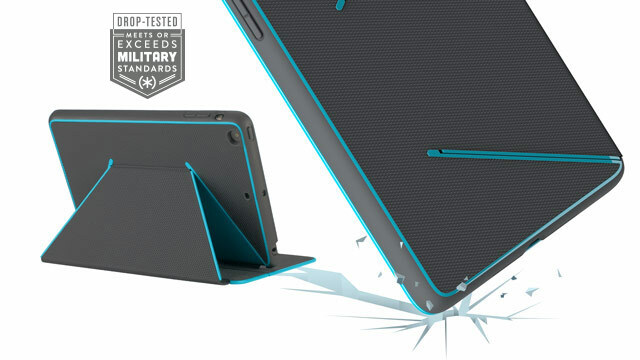 To learn more about the latest addition to the Speck line of mighty slim protective tablet cases, read the full press release here.